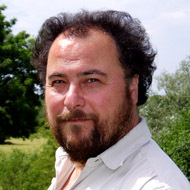 Dr Mark Everard is Associate Professor of Ecosystem Services at the University of the West of England. He is also a broadcaster and author of many books and magazine features about ecosystems, sustainability, water and wetlands including their sustainable use, conservation and fish fauna. His books include: The Business of Biodiversity (WIT Press, 2009), Common Ground: Sharing Land and landscapes for Sustainability (Zed Books, 2011), The Hydropolitics of Dams: Engineering or Ecosystems? (Zed Books, 2013) and The Ecology of Everyday Things (Cultured Llama, 2015). Mark is a noted specimen coarse angler, and a fly angler who also turns his hand to sea fishing. A keen musician, he has released three solo albums of original songs.